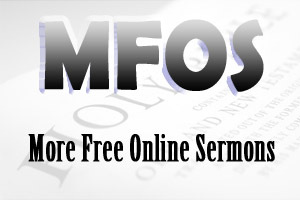 Spiritual Warfare Sermons | What is Spiritual Warfare? Spiritual Warfare Sermons look at what is spiritual warfare. That is, spiritual warfare is the spiritual battles Christians face each day. After all, the devil seeks to devour us, the world seeks to engulf us and the old sinful nature seeks to enslave us. Spiritural Warfare Sermons - What is spiritual warfare? Spiritual Warfare Sermons provide snippets from sermons that expand and explain what is spiritual warfare? Introduction: As Christians, we have an enemy. The apostle Peter calls him: our adversary the devil (1 Peter 5:8). The apostle Paul calls him: the prince of the power of the air (Ephesians 2:2). Jesus called him: the Father of lies (John 8:44). If you belong to Jesus Christ, then you have an enemy. An enemy that seeks to oppose you through deception and lies. He wants to destroy you, your walk with Jesus, your testimony for Jesus and your witness for Jesus. That's why the apostle Paul said, “Take up and put on the whole armor of God, that you may be able to stand against the schemes (lies/deceptions) of the devil, that you may be able to withstand in the evil day” (Ephesians 6:11, 13). We fight the enemy with the armor of God. God has provided all the armor we need to repel Satan’s lies and deceptions. Before we look at the armor of God or the weaponry of God, we need to make two observations. First, Satan has been defeated. Jesus Christ defeated Satan at the cross (John 12:31-33). We are not called to defeat Satan. We have simply been commanded to stand against the schemes of Satan (Ephesians 6:11). Second, the armor of God is primarily defensive. We are not called to attack the devil. We have been commanded to stand against the lies and deceptions of the devil. The armor of God enables us to do that. God's truth, which is found in God's word, must be part of every Christian. We stand against the devil with the Word of God (Joshua 1:6-9). Look at the end of verse 14, “Stand therefore...having put on the breastplate of righteousness. Righteous living protects us from the fiery darts of temptation. The devil loves to tempt us and then accuse us when we fall to temptation. However, if we live righteous lives, then God will protects us from those temptations. Look at verse 15, “Stand therefore...having shod your feet with the preparation of the gospel of peace. Stedfastness is about security in the gospel of peace. The devil loves to throw doubt on the word of God. However, if we are secure in the gospel, we will not doubt God's word. Faith shields us from the fiery darts of the devil. Faith is all about trusting Jesus. As that old song goes, simply trusting every day, trusting through a stormy way; even when my faith is small, trusting Jesus, that is all. The devil doesn’t want us trusting Jesus. No, he wants you to trust in yourself, to trust in your own strength, to trust in your own wisdom and to trust in your own resources. The helmet of salvation gives us confidence in Jesus Christ. We can stand firm in spiritual warfare because our confidence is in the salvation we have in Lord Jesus Christ. “Who can separate us from the love of Christ? Shall tribulation, or distress, or persecution, or famine, or nakedness, or peril, or sword? “Yet in all these things we are more than conquerors through Him (Jesus) who loved us” (Romans 8:35, 37). Look at the end of verse 17, “Take...the sword of the Spirit, which is the word of God. God's word is both defensive and offensive. We use God's word to stand against the lies and deception of the devil. However, God's word is the only piece of of armor that is capable of inflicting blows against the devil. That is, when we proclaim the gospel of Jesus Christ, we give people the opportunity to flee the realms of darkness and be translated into the Kingdom of God (Colossians 1:13). Look at the beginning of verse 18, "Praying always with all prayer and supplication in the Spirit..."
Prayer is importance for Spiritual Warfare. We have an enemy and his name is the devil. However, God has not left us to our own resources to battle the devil. He has given us the armor of God so that we can stand against the lies deception of Satan. For more information on what is spiritual warfare, click on Spiritual Warfare Sermons.